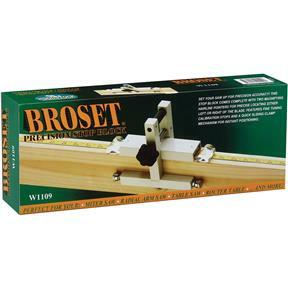 Ideal for cutting multiple pieces to the same size, Broset® also eliminates marking and adjusting the workpiece to the saw blade when cutting single pieces. 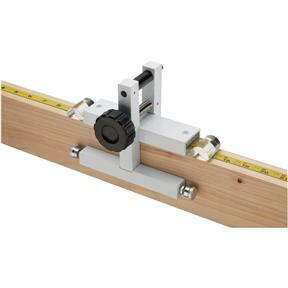 Designed for use with self-stick measuring tape (optional) and features micro-adjustable stops and two magnified hairline cursors for left and right of the blade operation. 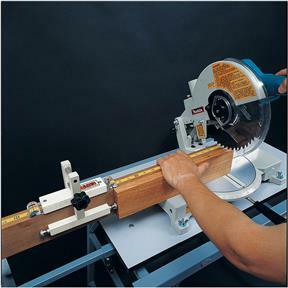 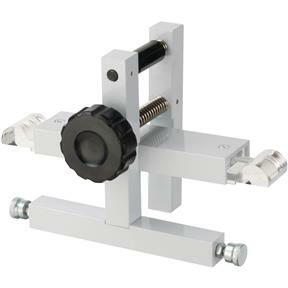 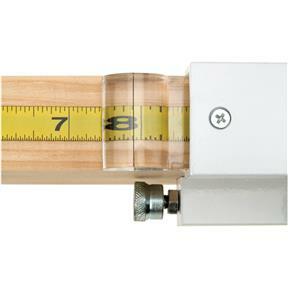 Works with fences 1-1/2" wide (i.e., size of a nominal 2x4), and a minimum of 2-1/4" in height.